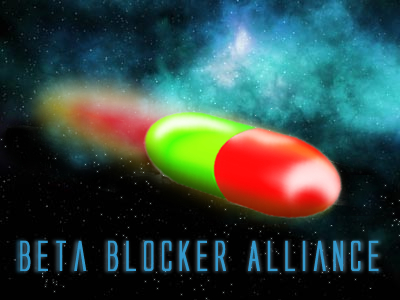 Good day members of [BBA], I hope your holiday season has been a good one. I have recently started playing AstroWars and have found myself boardering what seems to be [BBA] and also [AYYA] territory in the Gamma system. I come here to avoid being in conflict with the Alliances in the area. At this time my resources are going to be focused on the Gamma Kornephoros(GK) system. If the time comes where I am able to expand out of GK system, I will notify the [BBA] of my plans. As a sign of diplomacy, I am willing to leave Gamma Kornephoros 1, 2 and 3 open if the [BBA] wishes to expand and take those planets. Please let me know if this will be needed. you are considered to be friendly. At the moment we focus on alliance enemies only. Thanks, I'll be sure to inform you when that time comes. Update - I have sent a small fleet to the Delta Tania Borealis system. I've sent out messages to those within the system and will be attacking (need to boost exp ) those whom do not respond in that area. Just keeping you guys up to speed in my actions so we don't crash. I've read some of AW's forum posts and I'm having a hard time understanding some of the terms used. Farmer = Builds planets then lets somebody else take it over? From what I've read in the forums, the Outer Rim isn't as safe as past Golds. I've been offered an alliance with AYYA, but I won't be joining. I don't really have any Strat setup, but I'm just playing for fun. I'm currently setting up "escape pods" in case I get attacked by larger players. Silly, but it might be fun. Do I auto-lose if somebody takes for my original planet? Escape Pod = A couple planets devoted to making Destroyers, Transports, Colony ships that will be launched to a different system as soon as a large enemy attacks. Sorry for all the questions/comments! Semisleeper hat geschrieben: I've read some of AW's forum posts and I'm having a hard time understanding some of the terms used. 1. of all: Cool you ask your questions. easy if you know it. I am not sure, if I understand you correct. that´s the way we all learn ! Speaking of crashing! I don't know who's there, but the planet my fleet is 7 hours from is in conflict at the moment! It's too bad through all the technology this game assumes you have, nobody ever figured out how to make brakes! Here's to hope'n I get some exp from the crash! Heh, it is no longer in conflict. But the original player is still listed, but without any starbases left. I'm foreseeing no exp for me in that system by the time I get there. At least I'm not crashing into anybody, so I'll have a fleet! and that´s the most important point !!!! Somebody is either really fast, or I'm just unlucky. Every planet I attack is cleaned out right before my ships land. I may have to attack some active non-alliance players in the area. I say this because just building planets gets a bit dull. Any advice for a n00b? Should I hold off and build up a bit more before starting battles? At the moment I build the plants..
Then I switch the planet towards fleet build up. ...I suppose it isn't too bright to state my planets setup on a public board, but it isn't like that would stop anybody from attacking or not attacking. Planets marked as free have no buildings. When you colonize new free planet send there 1 colony ship to take it + 10 to move there 150PP. You will grow faster. Due to lefois tools you have some free planets in your system. Siege each planet with 1DS - no one will land there without being noticed. will you win the fight with guy you want to attack. #2739 - talk with ayya - there are SB 9 so lot of XP if you can kill it. kokon77 hat geschrieben: Planets marked as free have no buildings. When you colonize new free planet send there 1 colony ship to take it + 10 to move there 150PP. You will grow faster. Due to lefois tools you have some free planets in your system. Siege each planet with 1DS - no one will land there without being noticed. Currently when my culture flips I send 10 colony ships per planet to get the planet off on the right foot. This is excluding the most recent planet added, because I'm usually finishing off Galactic Cybernet or Research Labs on that planet when my culture flips. This next planet will have 15 colony ships per planet, so I think I'm doing pretty good in the area of construction. But you have an excellent point on sending those DS's out there for defense! I'll get right on that one. I crashed into Ratcatcher this morning, took out my 53 DS fleet (I've already replaced them) without taking a scratch. I sent him an email about the crash. I just laughed when I logged on this morn'n to see we crashed. Same person I had a close call with earlier, I just didn't know who I almost hit and where they headed off to. Ratcatcher is sending a couple DS's to a free planet in my system so I can kill them off for exp. If they don't bump me up to lvl 2, I'll send you a message asking for help. The "unknown" planets are the ruins of wolfclan9. He was active right off the bat, so I had contacted him and told him we should work together and later have a Trade Agreement. After he replied it sounded good to him, he went inactive. And later was removed from the map. There were (but not anymore it seems) a bunch of "wolfclan#" West of my location. So maybe he was multi-playing or something. Anyways, thanks for the advice!